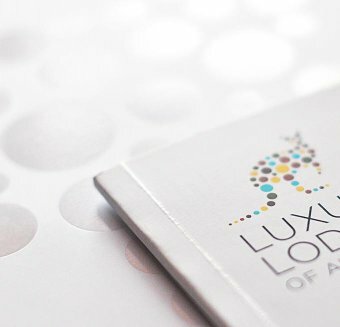 13 – 16 nights, if you choose to include all four lodges in Western Australia, plus a night on route where required. This Best Of The West itinerary, is exactly that - celebrating Western Australia’s breathtaking contrasts and memorable Australian experiences. Uncover the hidden treasures of the Margaret River wine region, including award-winning wineries, spectacular beaches, tall-timber forests and world-class surf breaks. Discover the wild remote Kimberley coast on the adventure cruise of a lifetime encompassing spectacular gorges, waterfalls and islands. Venture deep into the Kimberley wilderness, encountering an astonishing variety of wildlife along the way. If time permits, discover into the underwater beauty and biodiversity of The Ningaloo Reef just metres away from pristine beaches. 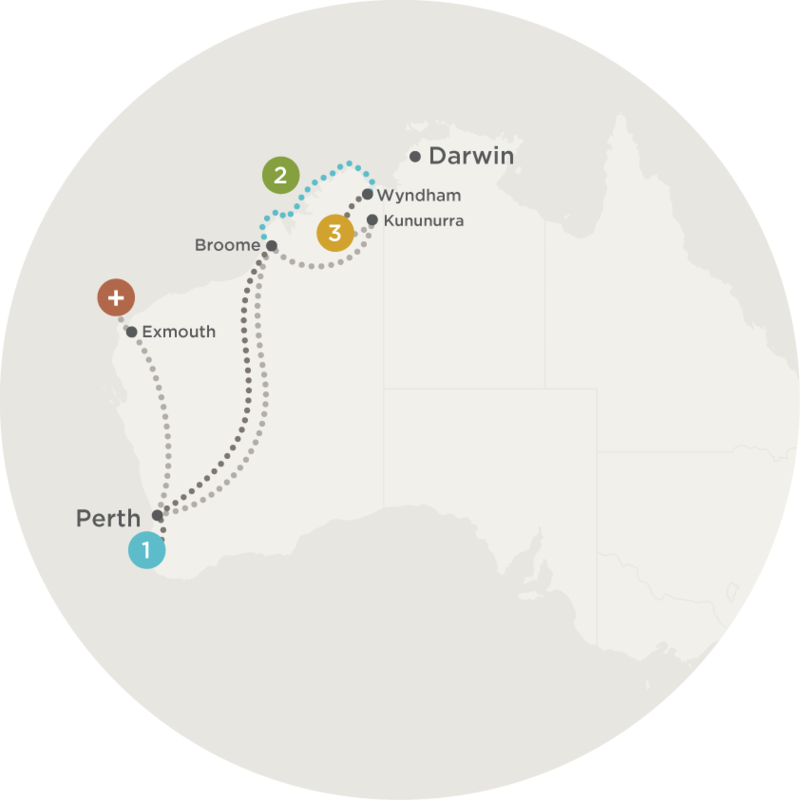 **this itinerary can be reversed depending on whether embarkation for true north is broome or kununurra. from perth airport, 3hr drive to cape lodge. Described as one of Australia’s finest gourmet establishments, Cape Lodge private estate and boutique hotel sits within 40 acres on its own vineyard in the heart of the Margaret River wine region. This premium wine region has a strong reputation for fine gastronomic flavours and spectacular scenery, where rolling vineyards sit against a backdrop of ocean and forest. Sunset Kangaroo Safari – Have your camera ready as you get up close and personal to the Western Grey Kangaroo’s in their natural surroundings. Savour delicious home baked orange cake with a steaming cup of Billy tea or coffee. Twilight Didgeridoo Tour at Ngilgi Cave, Harvest Farmgate Tour and new Cooking Class and Long Table Lunch Calendar including Truffle Hunt Tour and Cooking Class (July and August). 3hr drive to perth airport, 2.5hr flight to broome airport, private transfer to broome pier for 5pm saturday sailing (march until september). note that for sailings departing from hunter river, a friday overnight in broome is required. Long revered as one of Australia’s outstanding adventure experiences. The True North has been designed with a draft of just 2.3 metres to go where no other ship can go, with high levels of comfort and style. Cruises are activity based with expert crew of 19 people, on-board helicopter and 6 expedition boats giving up to 36 guests access to remote and wild coastal areas – in style. The Horizontal Falls – Experience the awesome power of the region’s huge tidal range in an exhilarating tender ride and then climb aboard your air-conditioned helicopter for a view of the falls that very few experience. Eagle Falls heli-picnic – Enjoy a breathtaking helicopter flight and indulge in True North’s mouth-watering fare alongside a picture-perfect waterfall in remote far-north Western Australia. Only accessible by helicopter. Fishing experience for Barramundi – Visit Leadline Creek for an opportunity to ‘land a barra’. (el questro operates from april until october.) 2hr hosted drive from wyndham direct to el questro homestead, on days when true north ship makes a stop in wyndham. other itineraries allow disembarking in broome or darwin with an overnight stay, then a 1.5hr flight and a 2hr hosted drive. Take off on a Helicopter Tour to The Lost City and Miri Miri Falls. Explore the Lost City with an El Questro ranger, followed by a cool dip in the pristine Miri Miri Falls while you enjoy a refreshing morning tea featuring local produce. The Homestead is renowned for serving gourmet cuisine in dramatic locations. Request an intimate dinner beneath the stars, or a table set on the cliff side. 2hr hosted drive to kununurra airport, 4.5hr flight to perth airport with a connection in broome, overnight perth. next morning, 2hr flight to exmouth/learmonth airport, 1.5hr hosted drive to sal salis at ningaloo reef. Where the outback meets the reef….Sixteen luxe wilderness tents hidden among the dunes overlook Ningaloo Reef. This wild bush luxury camp provides a unique place from which to explore Western Australia’s coral coast and one of Australia’s best-kept natural secrets. Sal Salis’s ecological principles also ensure that your stay generates a minimal environmental footprint. Swim with Whale Sharks (April to July) – Ningaloo Reef is known as one of the best places on earth to see and swim with Whale Sharks and Manta Rays. Wildlife Viewing – Red Kangaroos, wallaroos, rock wallabies and Gould’s Goannas are resident in the park while the birdlife includes Pied Butcherbirds, Fairy Wrens, Kestrels, Zebra Finches, Reef Herons, waders, seabirds and the occasional Emu that strolls through camp. Ningaloo is also a major breeding area for Hawksbill, Green and Loggerhead Turtles, which are seen daily in front of the camp. Sea Kayaking – Kayaks are the perfect vessel for exploring the reef with minimal interference to the ecosystem. Travel by kayak to spots further off shore where an anchor is dropped in the sand while guests enjoy a snorkel.